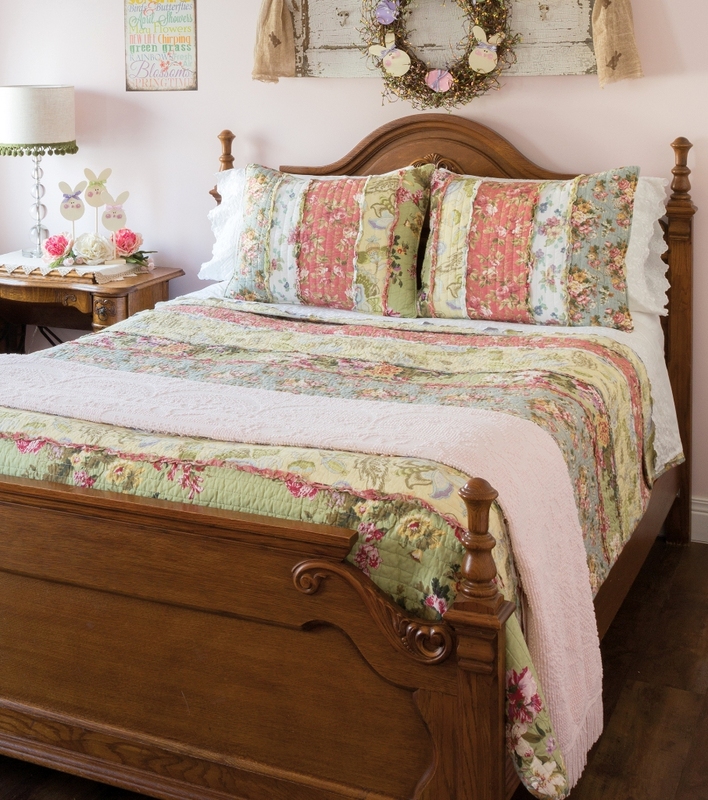 Delicate floral fabrics accented with ruffles along the seams gives our Emily's Garden quilt set a vintage-chic look. Made of 100% cotton. 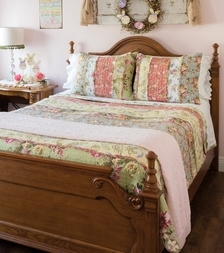 Set includes quilt and two shams. Featured in Country Sampler magazine March 2017. 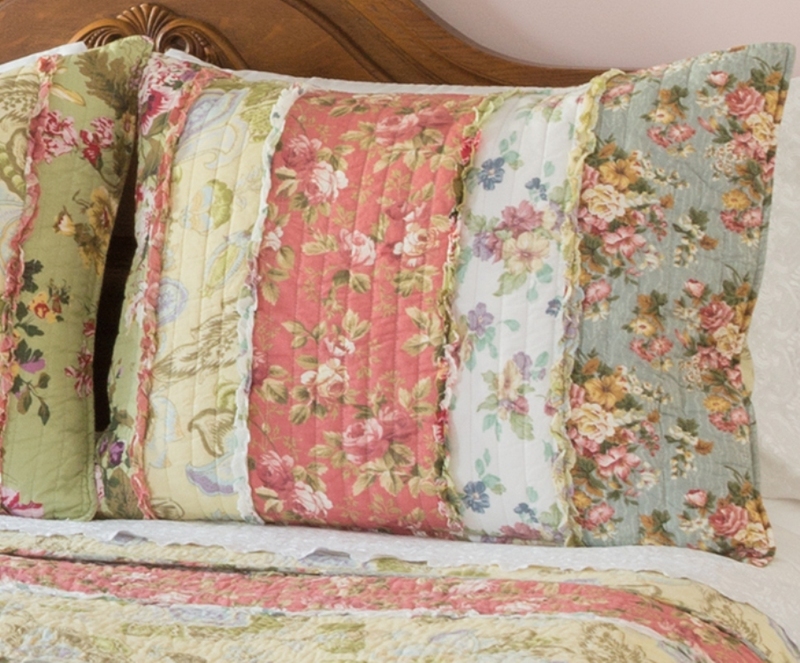 NOTE: shams do not include a lace edge - those are pillowcases that are not available. See sham close-up photo to the left).